← Laundry Products Harm Humans! 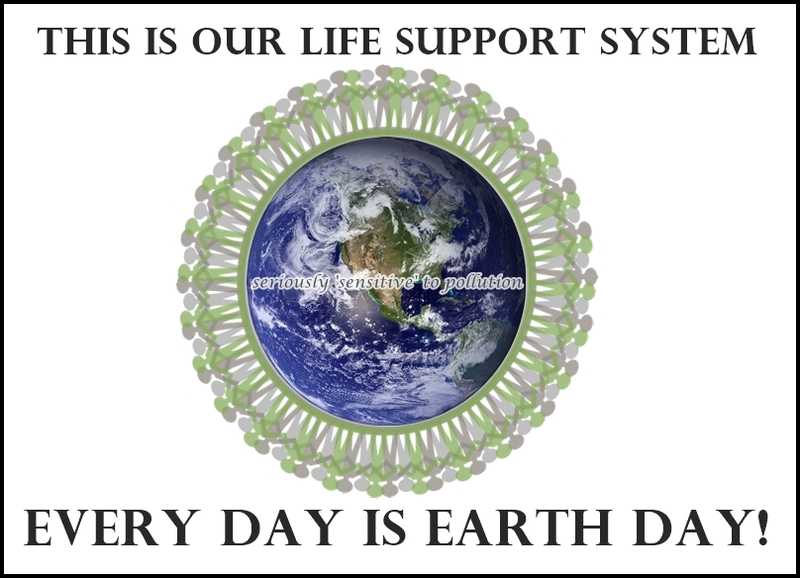 If we don’t look after our life support system, how will we live? We all need clean air, clean water, healthy soil, and safe food. “Recognizing our intimate dependence on the natural environment allows us to see its true value and treasure it. One reason that people living in cities nowadays need to be told so much about the importance of caring for the earth is because they did not grow up feeling direct, unmediated connections to it. For them, nature is something that one visits in city parks or on excursions out into the countryside. When we are raised in urban environments, our sense for the natural environment is more remote because we rarely witness our fundamental reliance upon it. Nature seems like a pretty backdrop to our lives, something that adds to the scenery but is basically optional. “We can’t wait any longer to restore our relationship with the Earth because right now the Earth and everyone on Earth is in real danger. “When a society is overcome by greed and pride, there is violence and unnecessary devastation. When we perpetrate violence towards our own and other species, we’re being violent toward ourselves at the same time. “When we know how to protect all beings, we will be protecting ourselves. A spiritual revolution is needed if we’re going to confront the environmental challenges that face us. “If we unbalance nature, humankind will suffer. Furthermore, we must consider future generations: a clean environment is a human right like any other. It is therefore part of our responsibility toward others to ensure that the world we pass on is as healthy as, if not healthier than, we found it. This is not quite such a difficult proposition as it might sound. For although there is a limit to what we as individuals can do, there is no limit to what a universal response might achieve. The same can be said for going fragrance-free. Switching the products we buy and use to non-toxic and fragrance-free versions, for the sake of other living beings and the environment, shouldn’t be as hard as people are making it out to be. Plastics are also causing huge problems. Single use plastics need to go the way of the dodo, and other plastics, if used, need to be made durable and VOC free, not designed to break down or emit pollutants. they pollute and destroy us all. Let’s show each other more love! and do more to respect and nurture our earth and each other. This entry was posted in Accessibility, Air Quality, climate change, Ecocide, Environmental Health, Healthy Environment, Nature, Pollution and tagged earth, environmental sensitivities, hazardous air pollutants, health, invisible disabilities, life support. Bookmark the permalink.